After spending a day (or two) enjoying the vibrant glass arts scene in Asheville, short day-trips take you further into the historic heart of the Studio Glass Movement in Appalachia. While Asheville’s busy art galleries, museums, working artist studios and shops will introduce you to a dynamic community of glass artists during the city’s Summer of Glass (May through October 2018), the early beginnings of studio glass in Western North Carolina are just a short drive away. And so are many of the over 100 working glass artists currently working in the region. The regional Studio Glass Movement first emerged in the 1960s in the scenic mountains of Yancy and Mitchell Counties north of Asheville. 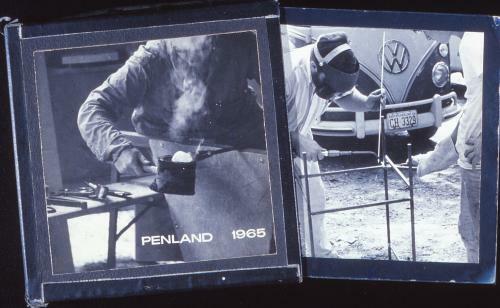 Penland School of Craft, located near Spruce Pine, N.C., had the first studio glass furnace in the Southeast in 1965, established by glass pioneer Harvey Littleton and his student Bill Boysen. 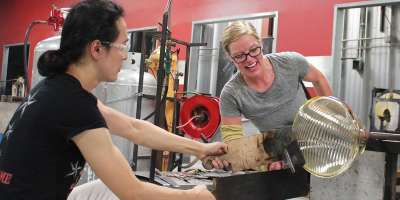 Penland was also the first institution in the region to offer glass instruction and is the founding site of The Glass Art Society, an organization started in 1971 and now boasting 2000 members from 40 countries. American glass artist Dale Chihuly visited and taught at Penland during his early career. See his unique exhibition at Asheville’s Biltmore Estate – Chihuly at Biltmore – from May 17 through October 7. 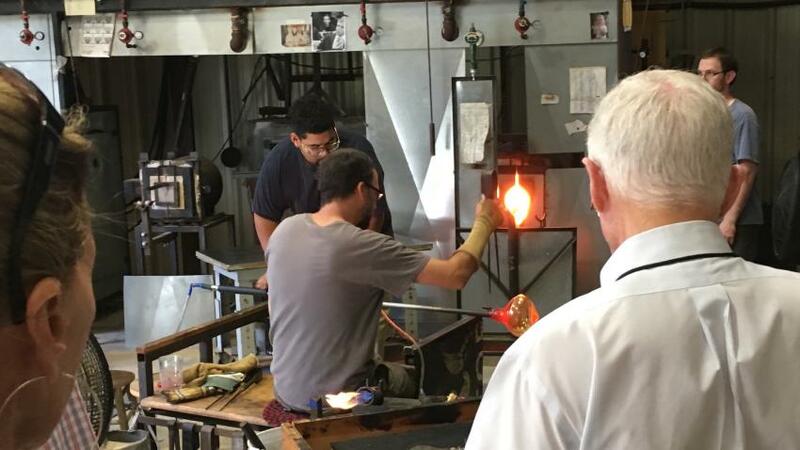 In addition to a full spectrum of various artistic media, The Penland Gallery and Visitors Center (about an hour from Asheville) also showcases glass artists who teach or attend the school on a rotating basis. You’ll find the ethereal vessels and introspective glass art of Mark Peiser (the school&apos;s first glass resident, beginning in 1965), the hauntingly beautiful glass portraiture of Dean Allison and the vibrantly colorful glass stones sculpted from hot glass by Thor and Jennifer Bueno. 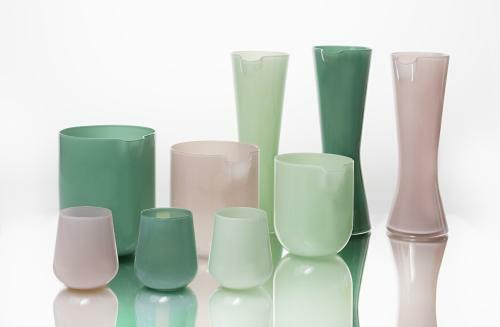 Over the mountain from Penland, in Spruce Pine, Bakersville and Burnsville, is a tri-city gold mine for glass artists and glass art collectors. The real fun is visiting artists’ studios dotting the scenic winding roads through the Blue Ridge—but call first, as many studios are open by appointment only. Look for the colorful glass work of Robert Levin, each piece free-blown and hot-worked and then frosted by sand-blasting and acid-etching. Or the retro color palette and vintage inspiration at Courtney Dodd’s Little Dipper Studio. Seek out the organic, hand-wrought glass sculpture of Greg Fidler or the intricately patterned and simply shaped bowls and vases of John Geci. If you purchase one of the Summer of Glass VIP Weekend Tours offered in July and September, a studio visit and one-on-one conversations with several Yancy and Mitchell County artists are included. 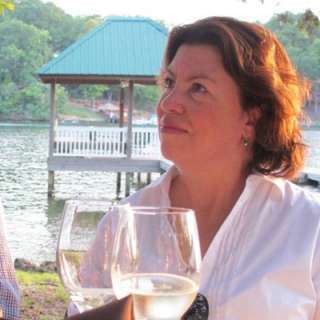 Depending on the weekend, you might tour the studios of John Littleton and Kate Vogel (John is the son of Harvey Littleton), William and Katherine Bernstein, Mark Peiser or Yaffa and Jeff Todd. 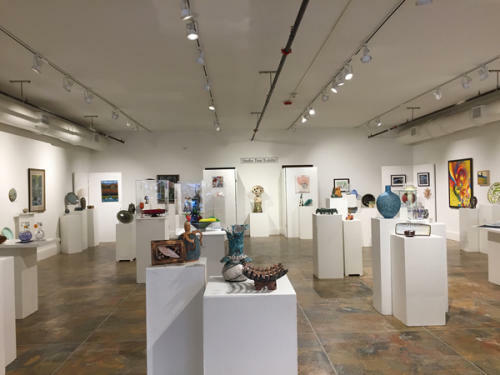 The Toe River Arts Council’s (TRAC) two galleries – one in Burnsville and one in Spruce Pine -- feature rotating exhibitions showcasing the work of over 400 artists who live in the valley, including many glass artists. TRAC has supported the arts in Yancey and Mitchell Counties since 1976 and has hosted the extremely popular TRAC Artists’ Studio Tour bi-annually in June and December for over 24 years. Including over 100 artists, this self-guided tour winds through the Blue Ridge Mountains to artists’ homes and studios where you can learn about their work firsthand. The entire Burnsville to Bakersville to Spruce Pine drive is an hour and twenty minutes from Asheville. But that’s assuming you don’t stop—and we recommend frequent stops (and perhaps striking out with an empty trunk to collect your new treasures). Take US 19/23 (future I-26) North past Mars Hill, then take exit 9 to stay on US 19 towards Burnsville. This road will turn into US 19E (DO NOT take US 19W). Go through Burnsville and continue approximately 12 miles until the lights at the junction with 226. Turn left onto 226 and continue for 2.8 miles. Turn left onto Penland Road; there’s a green Penland School sign at this turn. Drive 1.1 miles on Penland Road to a big curve. Turn sharply to the right onto Conley Ridge Road (there is a large, steel Penland School sign here) and go all the way up the hill. To Burnsville, take US 19/23 (future I-26) North to exit 9 to stay on US 19 to Burnsville. From Burnsville to Bakersville, get back on US 19 N to NC 197/NC-197 and turn right. Turn right onto N NC-226. From Bakersville to Spruce Pine, get back on NC-226 until NC 19E to Spruce Pine. Top photo and cups and vases courtesy of Courtney Dodd, Little Dipper Studio; historic photo courtesy of Penland School of Craft; studio tour with John Geci courtesy of Sherry Masters, Art Connections Tours; gallery photo courtesy of Toe River Arts Council.